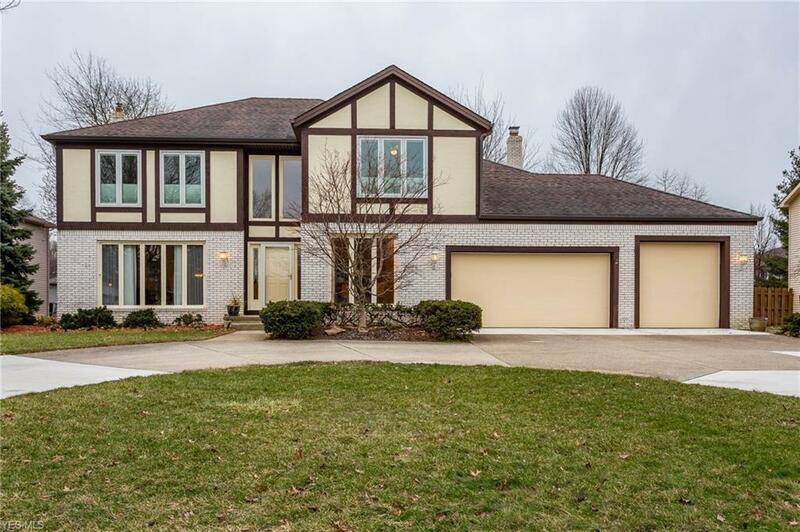 Located in the popular Settlers Reserve neighborhood, a circular driveway welcomes you to this elegant Tudor style colonial home. 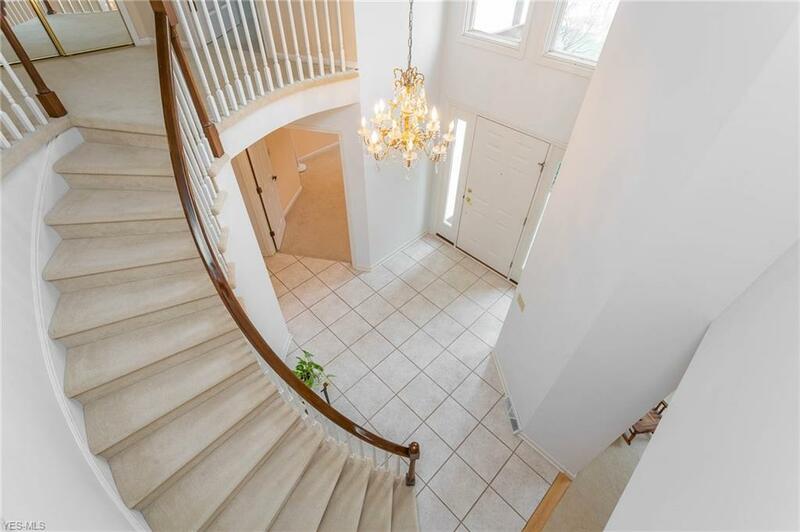 Step through the door to the stunning two story foyer with ceramic tile and rounded floating staircase. 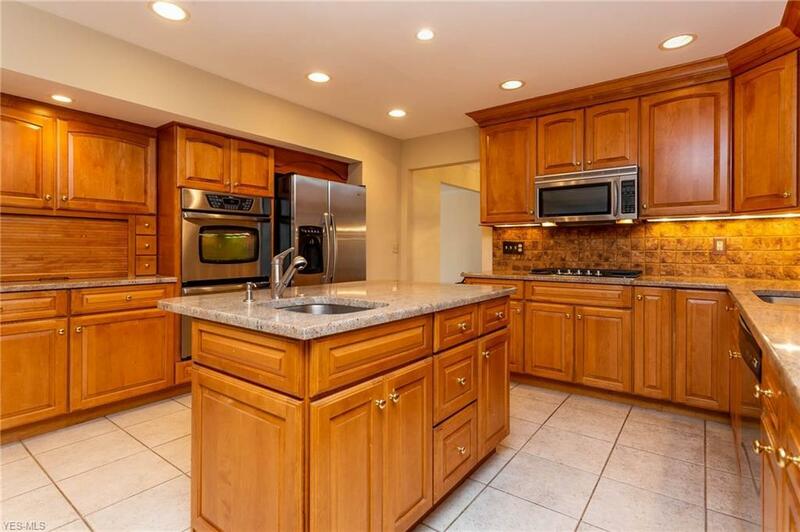 The heart of this home is the gourmet chefs kitchen featuring maple cabinets, granite countertops, tumbled stone backsplash, an island with prep sink, double wall ovens, gas cooktop, informal dining space and much more. 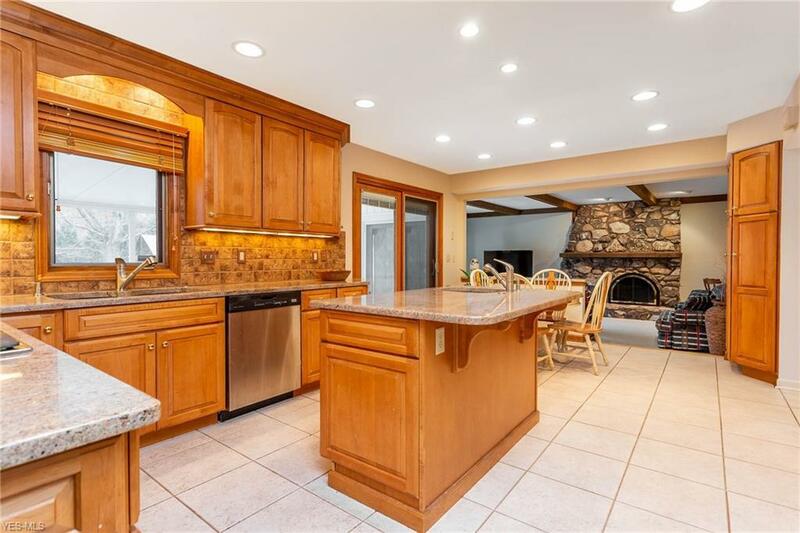 Step down into the inviting family room with custom natural whole stone wood burning fireplace, wood beams, granite dry bar with plumbing for a sink and French doors that lead to an awesome Champion outdoor patio living space. For your more formal events, the living room features a picture window, crown molding and new carpet and is open to the formal dining room with crown molding and gorgeous new hardwood floors. The first floor is completed with an office, laundry room and half bath. Upstairs awaits the newly carpeted spacious master suite with French doors to your private balcony, walk-in closet and master bath with dual granite sinks, ceramic tile shower and a tumbled stone deck soaking tub. Three additional huge bedrooms and a full bath complete the second floor. The lower level provides a finished recreation room with custom built-ins and wet bar plus an exercise or storage room. Shoot some hoops on your own basketball court in the backyard. Freshly painted throughout and minutes from Crocker Park and highways. Beautiful!